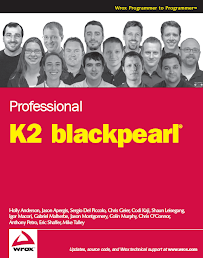 I will be presenting virtually to the K2.Net User Group Meeting Tuesday, November 13, 11am-1pm central time. The actually presentation will between 11:45-12:45 Central Time. I plan to demonstrate how to build a simple custom SmartObject Service.